Your Best Friend Just Had A Baby, What Should You Be Doing? 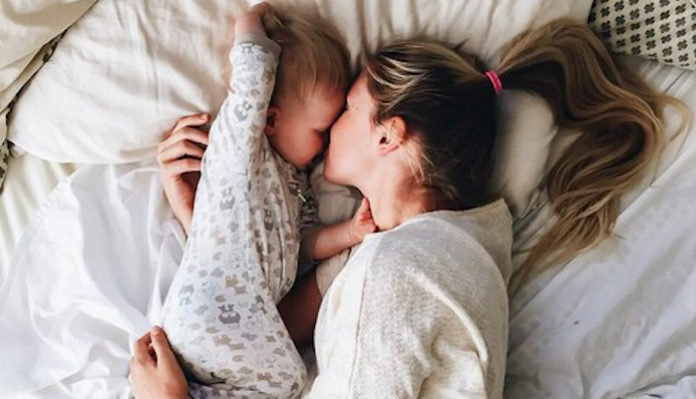 Home Adulting Your Best Friend Just Had A Baby, What Should You Be Doing? One telltale sign of adulthood is when many of your friends and acquaintances start having babies — on purpose. However, it’s a special kind of moment when your best friend decides to start the parenthood chapter (and you’re still not even considering kids). While you and your BFF may be taking a different path these days, finding ways to support and help her through this life-changing period will be the thing she needs from you most. But where do you even begin? Getting these crucial items will ensure that mom feels prepared and ease some of the stress of parenthood. Remember, while you may not have kids of your own, motherhood can be quite the adjustment, and there will probably be plenty of tears from both mom and baby. You’ve been there through the break-ups and the fights, and now you can help your BFF take on her next challenge with plenty of support. “Ina May’s Guide to Childbirth” by Ina May Gaskin: Gaskin shares key elements of having the best birth experience. “The Happiest Baby on the Block: The New Way to Calm Crying and Help Your Newborn Baby Sleep Longer” by Harvey Karp: This book is renowned as one of the best resources for first-time parents. “The Attachment Parenting Book: A Commonsense Guide to Understanding and Nurturing Your Baby” by William and Martha Sears: Dr. Bill and Martha Sears answer many questions of first-time parents as well as a practical guide to parenting. Your friend will surely appreciate the helpful advice, even if it’s not coming from you directly. Finally, through all the chaos and disarray that comes with a new addition, mom might be too busy to think of taking photos, let alone printing them off. Surprise your BFF with the perfect photo book of her new family. Not only is it a sweet gesture, but it will ensure that this monumental moment is captured forever in a lovely photo book the two of you can flip through years from now. Be sure to bring a box of tissue for all the happy tears that are sure to be shared between you two when she opens her gift. There might be some tough days for both you and your best friend ahead, but at the end of the day, you’ll always have each other. Of course parenthood holds a number of challenges (and rewards!) but one day you two will be looking back on this chapter in life fondly — together.